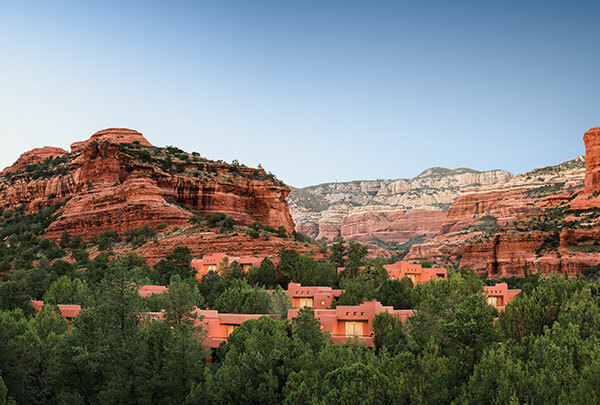 A picture is worth a thousand words, but there simply aren’t words to describe picturesque Sedona, the home of Enchantment Resort. Nestled within beautiful Boynton Canyon, Enchantment Resort offers a setting unlike any other. 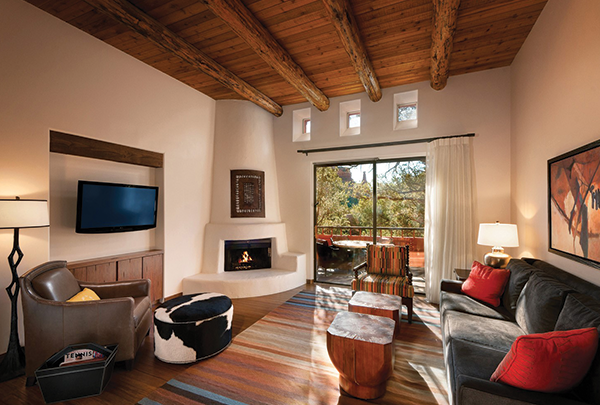 We provide our guests a full-service luxury experience with a spirited and intimate feel that you’ll only find in Sedona. Join our team today and see what makes Enchantment Resort an incredible place to work. As an employee of Enchantment Resort, you will be empowered to provide exceptional service for our guests. Immersed in an approachable and collaborative environment, you will be supported and encouraged to learn and grow within the organization. Enchantment is sophisticated and intimate, and we pride ourselves in providing intuitive hospitality and memorable guest experiences. Our team is genuine and positive, and we support one another in our efforts to exceed guest expectations. To our team, these aren’t just jobs but opportunities to create unforgettable experiences every day. At Enchantment, we work to ensure that the property remains as beautiful as its awe-inspiring surroundings. If you love the outdoors and want to work in an unmatched setting, join our landscaping team. We take immense pride in the comfort and cleanliness of the resort. By providing pristine arrangements, you’ll help us maintain our reputation as the premier place to stay in Sedona. Guests of Enchantment Resort rave about our incredible onsite dining options. 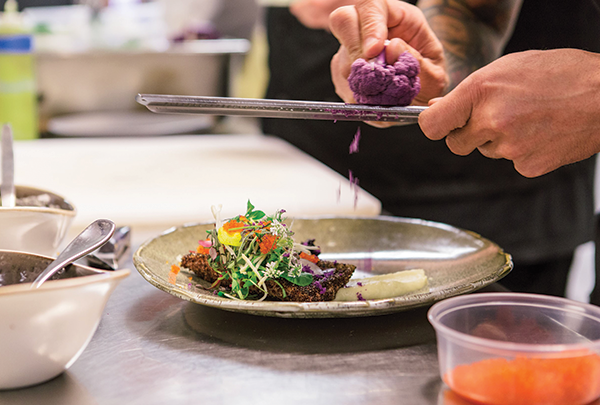 Join our kitchen and restaurant team, serving innovative dishes made with fresh, locally-sourced ingredients. As a guest services representative at Enchantment Resort, you’ll set the tone for each visit. With a warm smile and seamless service, you will ensure our guests have a superior stay from check in to check out. 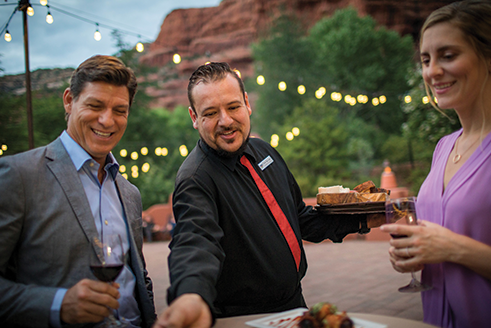 Our enthusiastic team is passionate about sharing authentic Sedona experiences with guests. 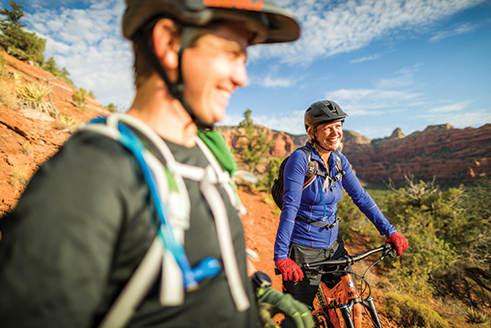 The resort’s activities encourage guests to embrace the Sedona lifestyle through the countless recreation and wellness opportunities offered daily. Team members lead guests in many activities including mountain biking, tennis, golf, yoga and meditation, painting, photography, juicing and cooking classes, as well as educational presentations about local history and culture. Enchantment Resort is a rewarding place to work, offering diverse career opportunities in an area of unmatched natural beauty. The staffing needs of our property vary throughout the year. We offer seasonal employment for high-need positions, as well as internships for students pursuing a degree in hospitality management.